Polychromatic microdiffraction is an emerging tool for mapping local crystal structure with submicron three-dimensional resolution. The method is sensitive to the local crystal phase, crystallographic orientation, elastic strain, and lattice curvature. For many materials it is also nondestructive, which allows for unique experiments that probe how particular structural configurations evolve during processing and service. This capability can test and guide theories without the limitations imposed by destructive techniques, surface-limited measurements or ensemble averages. Indeed in many cases this new capability will impact long-standing issues of materials science ranging from the factors that control anisotropic materials deformation to factors that influence grain growth, grain boundary migration, electromigration and stress driven materials evolution. Such mesoscopic phenomena are at the heart of virtually all materials processing and form the basis for modern materials engineering. Here we describe the state-of-the-art, and discuss new instrumentation with the promise of better sensitivity and better real and reciprocal space resolution. Example science and future research opportunities are described. 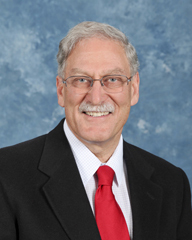 Dr. Gene Ice is the Director of the Materials Science and Technology Division of the Oak Ridge National Laboratory with more than 40 years of experience pioneering new synchrotron radiation optics and methods for materials characterization. Dr. Ice joined the former Metals & Ceramics Division in 1979. His early work on X-ray optics lead to the co-invention of dynamically-bent sagittal-focusing crystal optics, which are now deployed at synchrotron facilities around the world. After ten years of designing and then operating the ORNL materials science beamline at the National Synchrotron Light Source, Dr. Ice began research to develop polychromatic microdiffraction methods for materials characterization. This research ultimately led to construction of the world’s first dedicated polychromatic microdiffraction facility with submicron resolution in three dimensions. He became the X-ray Scattering and Microscopy Group Leader in 1995, an ORNL Corporate Fellow in 2003 and division director in 2010. In addition to other honors, Dr. Ice is an APS Fellow, an ASM Fellow, a main editor of the Journal of Synchrotron Radiation and has won two R&D100 awards for x-ray optics. He has more than 230 refereed papers, 15 book chapters, 2 U.S. patents and has given numerous invited talks on 5 continents.